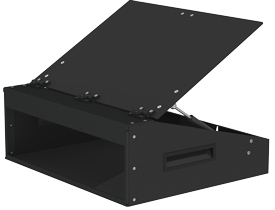 VPC offers sloped enclosures for ergonomic access to connectors. A new gas piston can be mounted on the left, right or both sides to aid in opening and closing the lid. The top and front panels can be removed for easy access to wiring. The 9050 Slide Configuration provides maximum versatility. 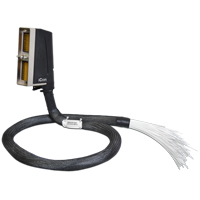 This system allows for easy access to instrument wiring and chassis, enables shorter cable length, and provides a flush rack mount to save valuable work space. This kit can be used with any VPC system. 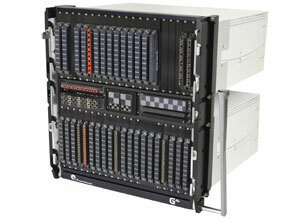 It includes 2 mounting flanges to attach 2 NI PXI-1045, PXI-1044, PXIe-1075, and PXIe-1065 chassis together. 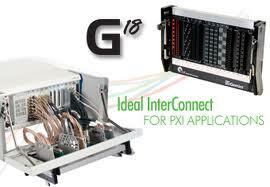 G40x is a two tier, 48 module system that enables pull-thru removal of 40 VPC modules, interconnect adapters and test instrumentation in one piece. 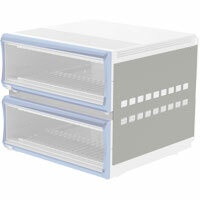 It offers 8 standard/90 Series discrete-wire module slots, plus space for 2 iCon modules, as needed. 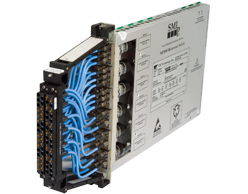 The rack mountable 9050 Receiver is designed to accept the 9025 and 9050 ITAs and is essential to support advanced Mass InterConnect requirements. 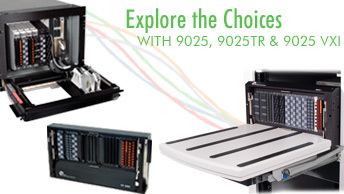 The 9050TR is offers extra platform support for heavy UUT fixtures. 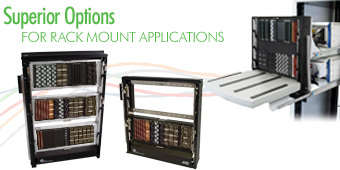 VPC Rack Mountable Receivers meet the exacting standards essential to supporting advanced Mass InterConnect requirements. 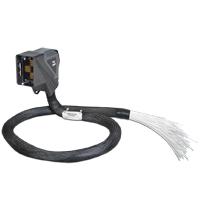 The VXI Receiver is designed for use with our Pre-Wired InterConnect Adapters. The connector “funnel” is easily inserted. 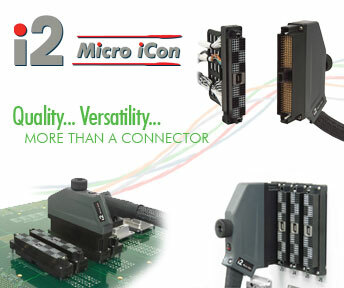 i2 Micro iCon, VPC`s new small connector for low I/O meets the need for a slim-line signal connector. i2 joins i1 and iCon as the newest member of the iCon family, incorporating the high quality design features that make the iCon family so popular. iCon is a fail-safe rack and panel connector specifically designed for the Test & Measurement industry. 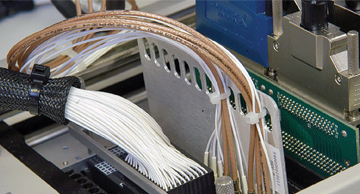 iCon is ideal for secondary connector applications as well as standard applications, and is designed to be PCB compatible. The S6 Skeeter provides robust, reliable and repeatable testing capabilities for small and intermediate size test applications. 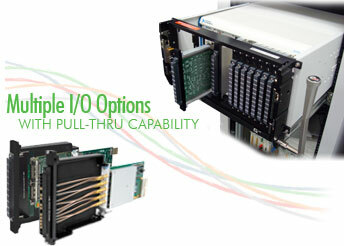 The S6`s low profile solution (1U) offers a wide range of I/O options and can accept a variety of PCB solutions. 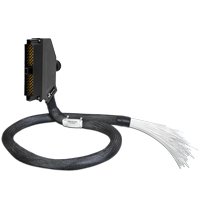 Our iSeries Cable Assemblies allow you to pin your own configuration. 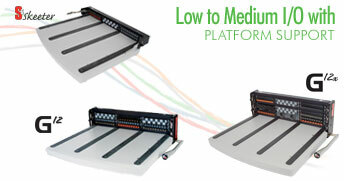 Choose from iCon, i1, or i2 Micro iCon ITA connectors for your ideal I/O level and footprint using VPC`s QuadraPaddle™ Signal Technology. 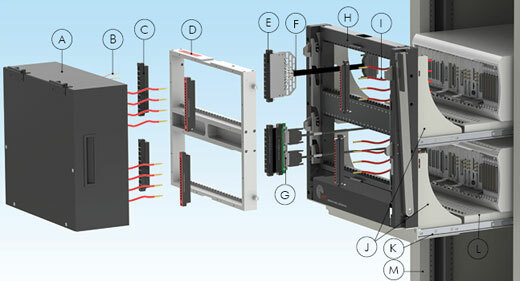 Cable Assembly, ITA, iCon, QuadraPaddle, 36"
Our iSeries Cable Assemblies allow you to pin your own configuration. 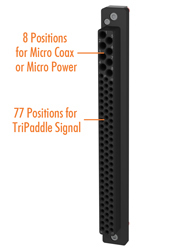 Choose from iCon, i1, or i2 Micro iCon ITA connectors for your ideal I/O level and footprint using VPC QuadraPaddle™ Signal Technology. The Screw Kits contain spare screws and/or Allen wrenches. *Wire Strain Relief *Strain relief plates are designed to absorb the majority of the forces put on the cables and ensure that the terminations stay intact. *The purpose of using a strain relief plate is to protect your investment. Rugged engagement mechanism engineered for 10,000 cycles Removable backshell and engaging mechanism enable easy access to wiring Spring locking tabs ensure even locking and engagement 30º U-shaped cable clamp provides strain relief.